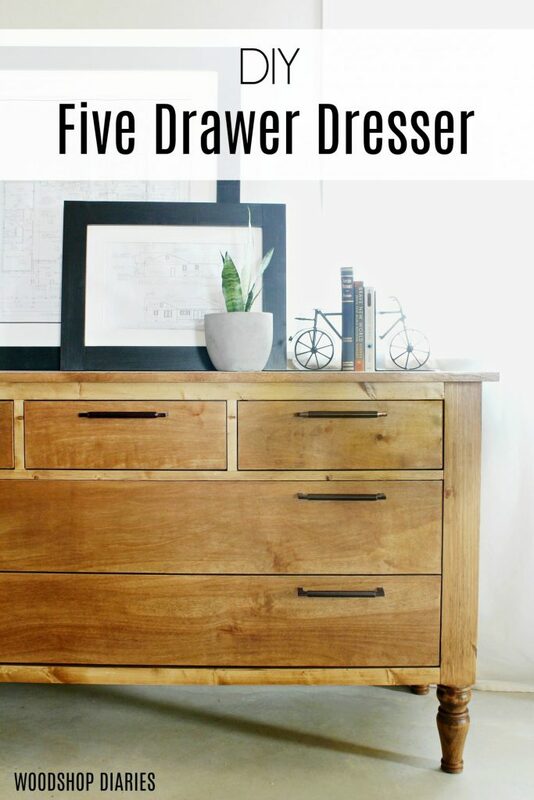 5 Drawer Dresser free plans. Build a beautiful 5 drawer dresser from these free woodworking plans. If you own a lathe you could even turn your own dresser legs, if not you can buy them.